How To Recolor MikuMikuDance Models Without PMD Editor! Hi Everyone, it’s Me again, NicoleNakanoMMD … and I will teach you how to Recolor your models with simple Paint programs. It Is Fun To Recolor Them. It Will Show The World Who You Are! 1. 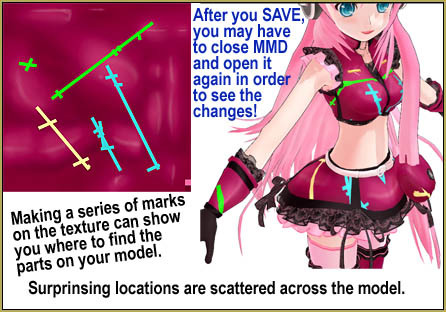 Open the Model folder that’s inside the Users folder, inside your MMD folder. 2. Open the folder for the model you want to edit. Choose one of the image files. 3. 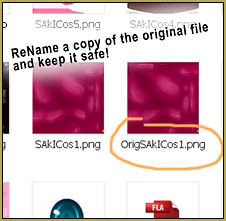 Make a copy of that file and rename the copy something different … “Original”, or something … so you can save that original file in case you want to change everything back, later. 5. Recolor It With The Colors You Like! :3 … Sometimes I like to just scribble a few different-colored X’s onto the image, and save it … … and then try-out the model in MMD to see where the X’s turn-up on my model, so I know, for sure where the parts of the image are located. 6. When you have colored your model … Click Save And Exit Paint. 7. 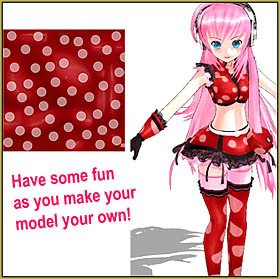 Open Your Recolored Model On MMD And Look! Now Your Model is Recolored With Your Favorite Colors! It’s OK to have fun recoloring your models for your own enjoyment and your own use. But do not share the model’s files with your friends or give a link to the modified model online unless the original model’s README file gives you permission to do so. 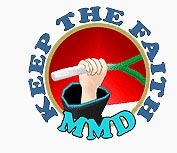 Click the Keep the Faith-MMD image, above, to read all about it. 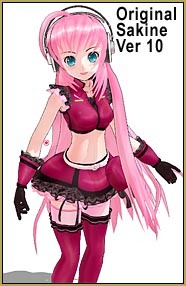 I recolour the model, but when I open it in MMD the recolour doesn’t show up :/ What’s with this? How did you recolor the model? 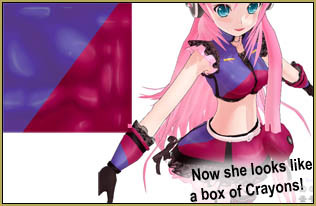 … did you close MMD and then open it again?